House owners might have discovered that their wall art décor is shattering in pieces yet they lack reasons to explain such a phenomenon. The common reason is the humid environment around the house especially during cold winters and onset of summer. The moisture supports the growth of slime which includes certain mold and bacteria thus deteriorating the wall art décor. Here are some of the reasons why humidity can cause wreak havoc to expensive wall art décor. Humidity levels occur in different ways, and not everyone will identify them. Some indications such as bad odor and an increase in static electricity can be confusing. One can mistake the smell for rotten food. On the other hand, issues concerning electricity might be due to the power surge and poor connections. In such occasions, the owners will call for repairs and thorough house cleaning instead of dehumidifying. 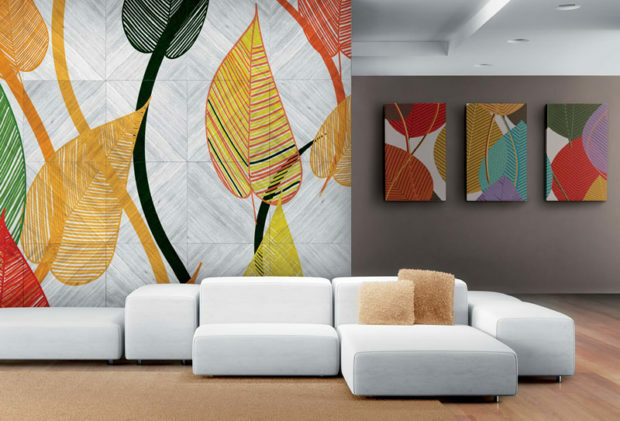 This is how wall art décor will become destroyed thus giving your interior design an ugly appearance. When moisture levels keep going up and down, it proves difficult to track the patterns. This makes it hard to plan on an effective means of controlling humidity. Before it comes to the knowledge of the owner, the walls become wet; paint begins to peel, and mold starts to grow on anything including pictures on the walls. Surprisingly, the lack of moisture leads to immense destruction as well. It is the case where water is frozen, and the air is dry. The only possible way for nature to create a balance is by drawing moisture from your belongings to the atmosphere. As a result, wooden furniture will begin to break; plastic materials will become brittle and worse of all, your precious wall art décor begins to crack. In such circumstances, one needs to have a hygrometer for detecting levels of humidity. If one chooses wall art made of wood or paper, then it will be significantly affected by water vapor in the air. No one can ever go wrong with glass or metal. Besides, the quality that these materials will prolong the longevity of the wall art. Metal and glass can only expand and contract, but they cannot support the growth of mildews and bacteria whatsoever. Although it is hard to explain this to individuals who are passionate about interior design, it is vital for them to understand that the consequences of their choice will cost them more than deciding on using either glass or metal. They can as well switch to using glass furniture and utensils as a way of controlling the growth of molds. It is the only way to stay healthy in humid conditions with your interior design intact. Failure to practice adequate ventilation is another reason why most home decors are destroyed by humidity. Sometimes it is not the weather but home practices. For instance, people who cook without opening the window and covering their food increase the levels of humidity. If anything, they should start cooking outside the house which automatically eliminates the chances of high levels of moisture. Other habits such as drying clothes within the house also contribute to high moisture levels. Dryers and washing machines are dangerous home appliances when it comes to controlling humidity levels. A washing machine will add to high moisture levels while a dryer will cause extremely low humidity. The only safest solution is to wash clothes manually and dry them out in the sun. Additionally, some households fail to vent the fans in their laundry areas, kitchens, and bathrooms to the outside. This makes it hard for warm and cold air to circulate within the house. Therefore, high humidity begins to wreck home interior décor and other expensive property. Any homeowner should invest in ventilating their homes. They can also use plants which will help in controlling high humidity by using the moisture for growth. Resultantly, they will save on costs for repainting, repairs, and replacing wall art. Sometimes, people do not know how to effectively monitor and eradicate high humidity. Things like wet firewood should never find its way into the house. This is because it will continuously release water vapor to the air as it dries. Do not overwater plants for this will endlessly accumulate moisture within the surroundings. Some people also fail to dry utensils after washing. When this moisture accumulates, it destroys wall art. Therefore, they should avoid collecting water in pools within the house at all times. However, the solution is to use the best kind of dehumidifier for effective control measures on the humidity. Merely shut windows and doors and position the dehumidifier away from furniture, sunlight, walls, and warmth. This will protect your wall art from destruction by humidity during all the seasons.